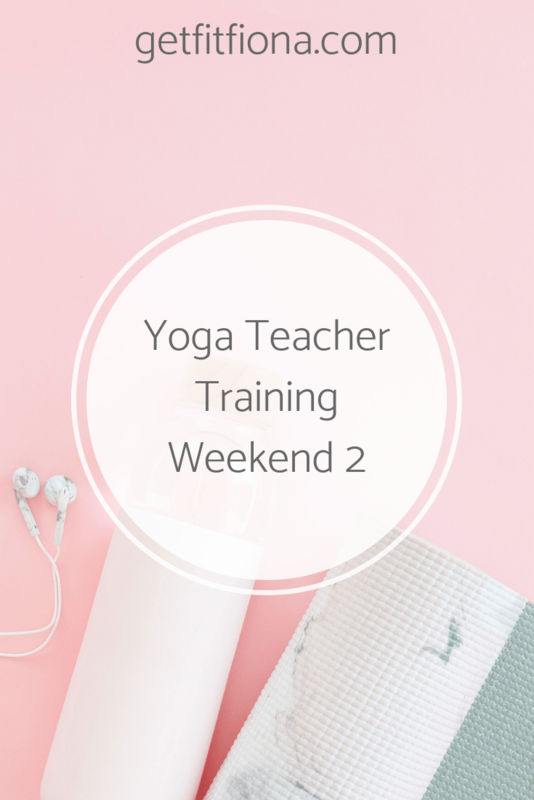 I know this post is coming a bit late considering I did another weekend of yoga teacher training last weekend, but I really wanted to share how the second weekend went. I also want to make sure I document what I’m learning for myself. We cover so much each weekend, I don’t want to forget anything. We spent Friday night talking about yoga philosophy for the first time. The philosophy side of yoga isn’t something that I know much about, so it was great to start learning about that. We practiced yoga nidra, which was a brand new experience for me. It was relaxing, though I know I still need to learn to relax more when I’m in a room full of other people. I have no problem meditating on my own, but I struggle to do it when other people are around. We talked about finding our voices as yoga teachers, and how everyone’s “voice” will be different from everyone else and unique to them. We discussed cuing and thing to do and avoid when teaching. We followed that discussion with a yin class, taught by a guest teacher, Alan Mileham. He’s a well known teacher here in Calgary who specializes in yin yoga. Because you hold poses in yin yoga longer than most types of yoga (3 to 5 minutes), Alan talked us through each pose as we were in it. He was super knowledgeable and covered the three principles of yin yoga. We continued learning about sun salutations, which we had started the last weekend of yoga teacher training. We also did a practice that focused just on sun salutations. We’ll be teaching sun salutations soon to each other, so it was good to really focus on them. It’s such a basic part of so many yoga practices, it’s important to be familiar with them as a yoga teacher. We started off the day of training talking about some basic anatomy terms and ideas, like planes of motion, the physiology of bones and muscles, and types of joints. I’m very grateful that I had already learned these things in my diploma, because we covered a lot of information. We then talked about the hips and focused on the pelvis, iliopsoas, and gluteus maximus. So many yoga poses involve the hips in some way, so it was really good to learn about how all those parts work together to let us move. Next week we’re covering the gluteus medius and some of the other muscles in the hip and upper leg. We spent the last part of yoga teacher training talking about more yoga philosophy. We discussed some questions we had from Friday night and the yoga nidra practice. Then we moved into some more yoga philosophy. I can tell that the philosophy side of yoga will be the most challenging part of yoga teacher training for me. So many of these concepts are hard to define and visualize in concrete terms. We finished off the day by doing a meditation focused on relaxing each body part. It was quite involved, focusing on each body part, right now to each finger and toe. If you’re interested in yoga nidra, one of my yoga teacher training teachers who is covering yoga philosophy with us has some practices available online on YouTube. You can check out her videos here. While I knew that these yoga teacher training weekends would be busy, I’msurprised at how tired I am by the time we’re done on Sunday afternoon. Between the practices(typically 4 or 5 throughout the weekend), plus learning for 15 hours throughout the weekend, I’m tired. On the other hand, I’m loving that I get to spend the weekend immersed in yoga. I get to learn a ton about thing that I really enjoy and am passionate about. We generally get an hour for lunch and I found that I’m able to focus better in the afternoons if I get outside for a bit. Even if that’s just to walk a few blocks to get lunch or do a few laps of a park that’s close by. Getting out into the fresh air reinvigorates me. Do you like yoga nidra?